War is hell. Just ask anyone who's been in it. It's not surprising, then, to find there are a ton of terrifying stories that come out of the heart of war. Sometimes, they're only told years or decades later, sometimes they walk the line between myth and history, and sometimes they're so dark we can just hope they're legend or fanciful tales grown out of some of the darkest moments in soldiers' and civilians' lives alike. But a lot of the time, they aren't. And here's the thing. For every haunting, chill-you-to-the-bone tale that's told by veterans and those who witnessed war, there are countless others that go untold. They're simply carried, finally dying with those unfortunate enough to witness the worst of human nature. War doesn't simply go away with the signing of treaties and ceasefires; it just lives on. Here are some of the darkest, strangest, most unsettling stories to come out of history's biggest conflicts — tales that weighed heavy on the hearts of those who carried them. 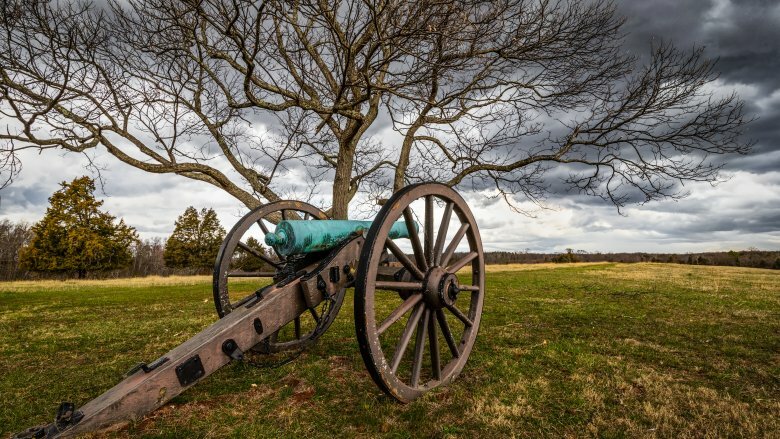 The Battle of Shiloh was like other battles of the Civil War: bloody, messy, and deadly. By the time fighting was over, 3,000 were dead and more than 16,000 were injured. Medics were overwhelmed. According to Mental Floss, the wounded troops were so worn out from marching and sleeping rough, many were unable to fight off the infections that came as they sat in the mud and waited for help. Many died from those infections, but when darkness fell a weird thing happened. Some of the soldiers' wounds started to glow. It wasn't long before they realized those fortunate enough to be bathed in what was quickly termed the "Angel's Glow" were more likely to live than their non-glowing comrades. It must have seemed like the touch of the divine, but why were only some soldiers spared? The truth was only discovered in 2001, thanks to 17-year-old Bill Martin and his microbiologist mother. After visiting the battleground, Martin realized the tale had a lot in common with the bioluminescent bacteria his mother was studying. He wondered if the glow came from parasitic worms called nematodes, who puke up glowing bacteria which fight infection and other bacteria to allow the nematode to feed in peace. Sure enough, that was it. The nematode vomit likely helped the wounded soldiers fight off the infections that killed others. So there were angels, just little puking ones. 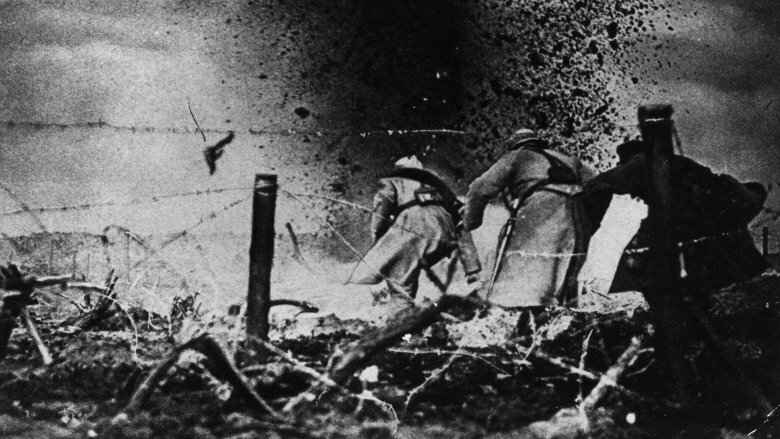 With the start of World War I, countless lives turned upside-down. 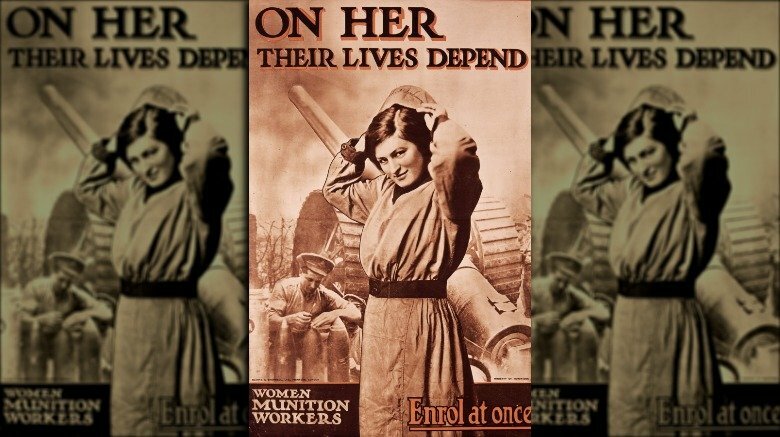 Men went off to war, and women needed to fill their shoes on the home front. The British Legion says millions went to work in factories, including women called the Canary Girls. They weren't called that when they first went to work in the munitions factories — they got the name after their skin was turned yellow and their hair was bleached by the toxic chemicals they handled day after day, for 12-hour shifts six days a week. The chemicals made them susceptible to liver disease, toxic jaundice, and other illnesses, and those who worked while pregnant gave birth to yellow-skinned babies nicknamed Canary Babies. Countless women died, according to the BBC. Munitions factories were frequent targets for enemy bombing runs, plus the slightest bit of spark or even static in the factory could result in catastrophic blasts from within. Fatal explosions happened a lot, and women lost fingers, hands, eyesight, and more. Stories are heartbreaking, like one of a pregnant worker who lost both hands, her sight, and much of her ability to feel in one blast. She carried her baby to term, but could only touch the child with her lips. Others remember singing the hours away, and say it was the only way to keep their spirits up when they knew death — from above or held in their own hands — could come in a split second. 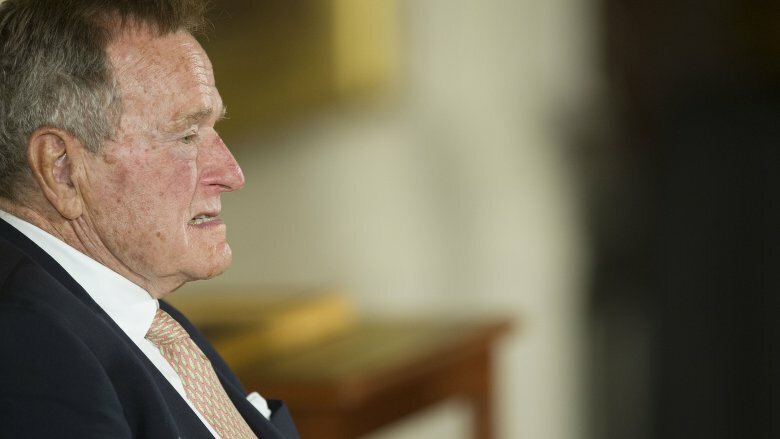 Before he told everyone to read his lips, George H.W. Bush was a fighter pilot who flew bombing raids over the Japanese island of Chichijima during World War II. On one ill-fated mission he ditched his plane and became the only survivor from his squadron (via the Telegraph). The fate of the others was at the center of a later war crimes trial, and the official files were then sealed. With the airmen's family members now passed away, the truth was finally made public. Those taken prisoner by Japanese troops led by Major General Yoshio Tachibana faced torture, execution, and a final indignity. Held captive by an army fueled on revenge, meat shortages, and a belief in the ability to absorb the strength of fallen enemies, many of the captives were partially eaten. 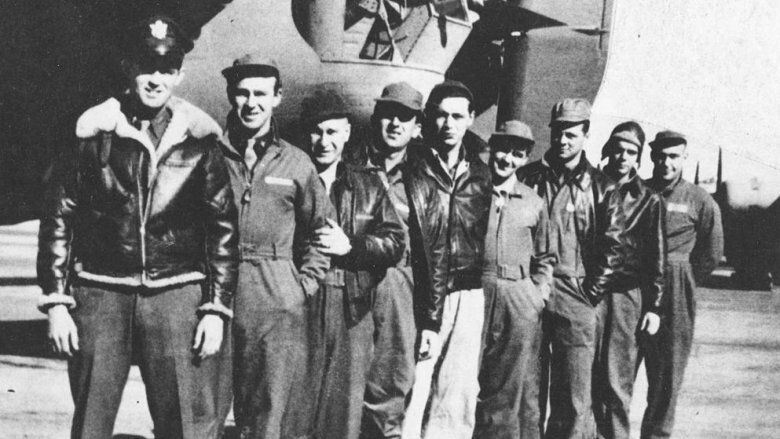 The details are grisly, and according to witnesses who gave testimony at the trial, pounds of flesh were removed from the executed airmen and served to senior officers. One recalled: "I had it pierced with bamboo sticks and cooked with soy sauce and vegetables. They ate it in 'very small pieces,' believing it 'good medicine for the stomach.'" The trenches of World War I were filled with unspeakable horrors, and between the trenches was No Man's Land, a patch of ground bloody with bodies and — occasionally — the site of temporary ceasefires. It's no surprise the Smithsonian says a horrible tale circulated among the men in the trenches, whose nights were filled with the cries of the dying. According to the story, No Man's Land wasn't abandoned — instead, it was the home of a band of deserters from all armies, who turned their backs on their countrymen to go rogue. They were said to live in tunnels dug deep underground and would emerge at night to scavenge what they could from the corpses. There were other claims that they would feed on the dead, fighting for the best bits. The first time the tale appeared in print was 1920, when a British cavalryman named Ardern Arthur Hulme Beaman wrote about German prisoners of war he claimed to have seen disappear into the trenches of the so-called wild deserters. That's when his officers told him there would be no search party, that no living men would be sent to the "ghouls among the mouldering dead." The legend was told over and over again, and by 1948 it had a grisly ending as well. According to Sir Osbert Sitwell, no postwar government knew how to deal with "cowardly but desperate" men, so they were gassed in their tunnels. 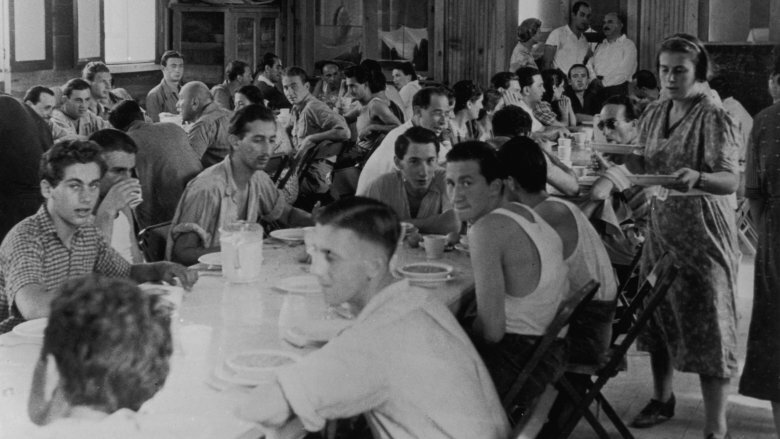 Just as unthinkable as life on the front lines of World War II is life in the concentration camps. 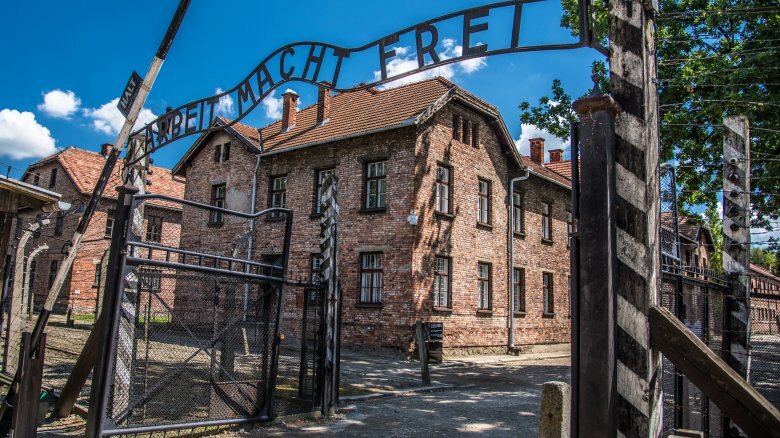 That didn't end with liberation for most, and the Sydney Morning Herald says it took decades for one survivor of Auschwitz to tell the tale of why he refused to go to a doctor for 64 years. Yitzchak Ganon had a heart attack in 2009, and when he woke in the hospital, his doctors asked him if he knew he only had one kidney. He responded, "I know. The last time I saw the other one, it was pulsating in the hand of a man called Josef Mengele. He was a doctor, too." Ganon and his family were sent to Auschwitz in 1944, and that's when Mengele pulled him out of line and sent him to the camp's "hospital." His kidney was removed first — without anesthetic or painkillers — and after Mengele stitched him up, he put him to work. Ganon spent months cleaning up after other operations until Mengele decided to sit him in a tub of freezing water to check his lung function. Then, the mad doctor decided he was no longer needed. Mengele sent him to the gas chamber, and he lined up with the other condemned. There was only room for 200 people, though, and Ganon? He was the 201st person in line, and his life was spared. War might be hell, but the Vietnam War was a special corner of hell. And in the 1970s, Operation Wandering Soul was begun with the goal of convincing Viet Cong soldiers that a hell filled with the lost souls of their dead comrades had come to Earth. 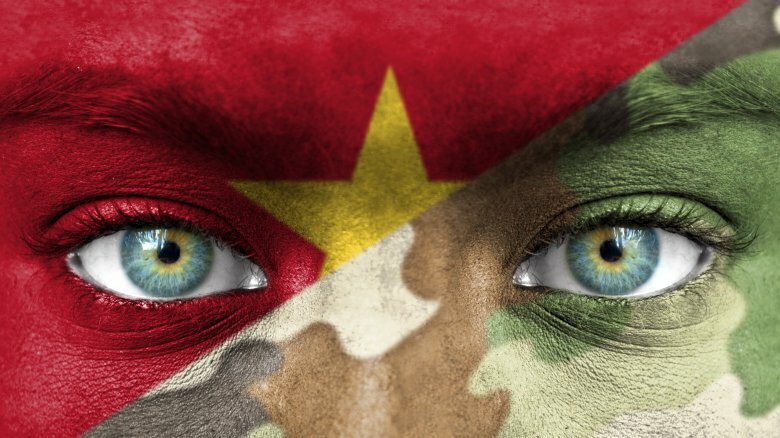 Vietnamese tradition holds if a person isn't returned home for a proper burial, their spirit is condemned to walk the earth in eternal torment. U.S. PsyOps decided to capitalize on that and record tapes of shrieking, screaming "souls" that begged the living to go home lest they end up in eternal condemnation as well. Men, women, and even children's voices were recorded, then played in the forest by American GIs, says Military History Now. It's impossible to tell just how successful it was, but there are reports of troops abandoning their posts after the eerie, terrifying tapes were played. It's easy to see how well they might have worked, too — just listen to the clip above, then imagine being deep in the jungle, in a place where any shadow or flicker might be death on the move. U.S. officers reported it terrified South Vietnamese troops and civilians, too, and even if troops recognized it for what it was, it reminded them they were going to die far, far from home. On April 4, 1943, the Lady Be Good and her crew of nine left an airstrip in Libya and headed out on a bombing run over Naples. Sandstorms in the Sahara forced most to return, but Lady carried on. Separated from the rest of the formation, Lady eventually turned around, headed back to base, and disappeared. Until, the National Archives says, Lady and her crew were found in 1958 by a team of British geologists. Investigators were later able to unravel the story of the crew's final moments, more heartbreaking than any of the legends told about their fate. After ground crews ignored Lady's plea for directional guidance, they overshot their base, ran out of fuel, and parachuted into the Libyan desert as the bomber crashed. The crew took a gamble and headed northwest, carrying only meager supplies. None survived. The last man standing had walked an incredible 111 miles, but here's the thing, says Air & Space. If they had walked only 16 miles to the south instead of heading in the opposite direction, they would have made it back to the Lady … which was almost strangely intact, with stores of fresh water, food, working machine guns, and working radio. Instead, they chose poorly. Copilot Lieutenant Robert F. Toner kept a diary as he walked, and it was found on his remains. One of his final entries read: "Still waiting for help, still praying." Vietnam was a terrible war, so terrible that some American soldiers turned on their commanding officers and tried to assassinate them with a practice called fragging. This dark chapter of the war is largely forgotten, says Vietnam veteran and author Hamilton Gregory. The attempts were simple and brutal: a frag grenade was lobbed into the tent of a sleeping officer, and in theory, the explosion not only killed the man but destroyed any evidence (like fingerprints) that might lead back to who threw the grenade. And it happened a lot, with at least 800 known attempts, 86 deaths, and somewhere around 700 injuries. Historians think actual numbers were much higher than that, and say an officer could be targeted for offenses from handing out disciplinary actions to putting his men's lives at risk unnecessarily. Some officers took extreme measures to protect themselves. Major Colin Powell never slept in the same place two nights in a row, and Senate candidate Roy Moore outfitted his tent with sandbags. For weeks, he heard rumors of one soldier who was quite literally gunning for him, and things came to a head when the soldier in question shot a first sergeant and was arrested before he could finish his shooting spree. 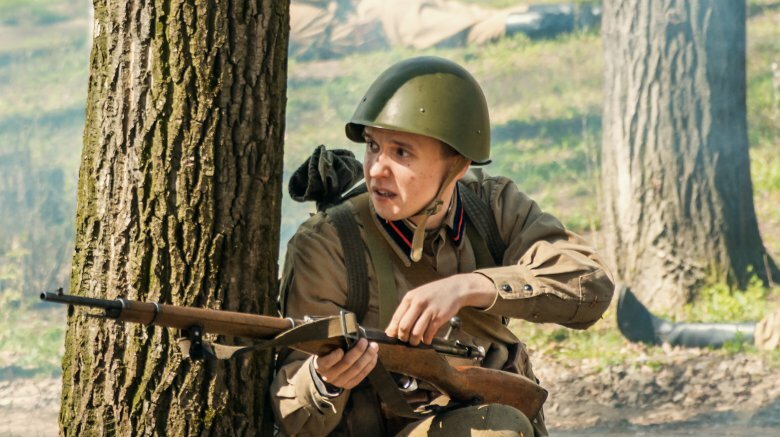 A lot of lines get blurred during wartime, sometimes even the line between friend and foe. The Cold War was a strange time, proof the threat of war can sometimes be just as terrifying as actual war. The enemy was everywhere, and in the 1960s, a strange sight sparked some eerie legends. According to James Proud's Urban Legends, Hungarian pop culture still tells stories of a 70-ton fin whale carcass that toured the country in 1961. 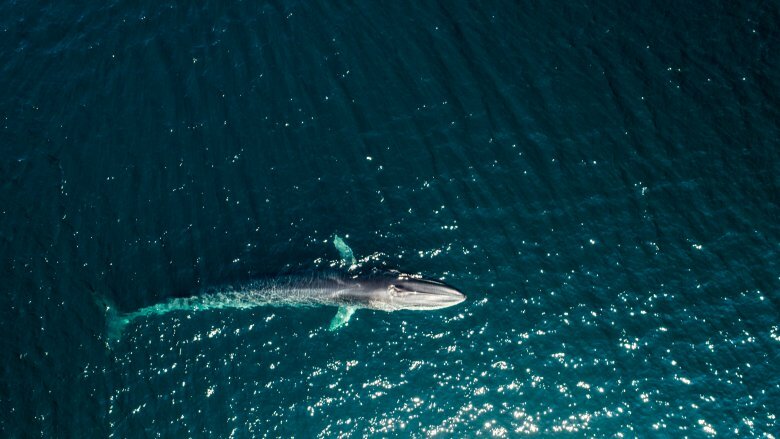 His name was Goliath, and even though crowds turned out to see him, they also whispered of rumors the whale was actually the same size as an American missile carrier, and it was a secret plot to test Soviet roads ahead of sending actual missiles. That's bizarre, but it makes a little sense … more sense than the actual story. The Guardian says Goliath was one of a trio of whales that also included Hercules and Jonah. They were harpooned in Norway, preserved in formaldehyde, then loaded on trucks and sent off to tour Europe. They changed hands a number of times, sometimes marketed as a traveling sideshow attraction, sometimes as an educational experience. And yes, Goliath had been on tour for more than a decade by the time he showed up in Hungary, and since there are no records of just who owned him at that point … maybe he was part of an espionage plot? Either way, his ultimate fate is unknown. It's suspected he ended up in Italy, while Hercules was disposed of in Spain. And Jonah? He might still be around. In 1938, 32 countries met in France to discuss the dark state of the world at the Evian Conference. Among the topics of discussion was what would be done about the number of Jewish refugees fleeing the Nazi regime. Shockingly, only one nation stood up and agreed to welcome refugees with open arms … and a catch. The Dominican Republic was run by a dictator named Rafael Trujillo, and he offered a new life to 100,000 refugees. They would need to agree to do some back-breaking work clearing the jungle, but it was a life, right? According to The World, he had another motive: to get the light-skinned Jewish refugees to breed with the darker-skinned people who already called the country home. Only a fraction of those 100,000 ever made it — the Nazis banned Jewish emigration just two years after Trujillo's offer. Refugees settled in Sousa (pictured), some briefly. When the Washington Post did some digging into the true history of the plan, they found it was nowhere near an idyllic paradise. By 1942, Sousa's population of 472 included 158 single men and only 38 single women. That was by Trujillo's design, they found, as he opened doors to young men in hopes they would hook up with native women "and 'whiten' his nation's people" … an eerie parallel to the Nazi's Lebensborn program, the breeding regime Spiegel Online says was designed by the Nazis to create a perfect Aryan master race.